Some holiday destinations just sell themselves and the journey really is about the destination. 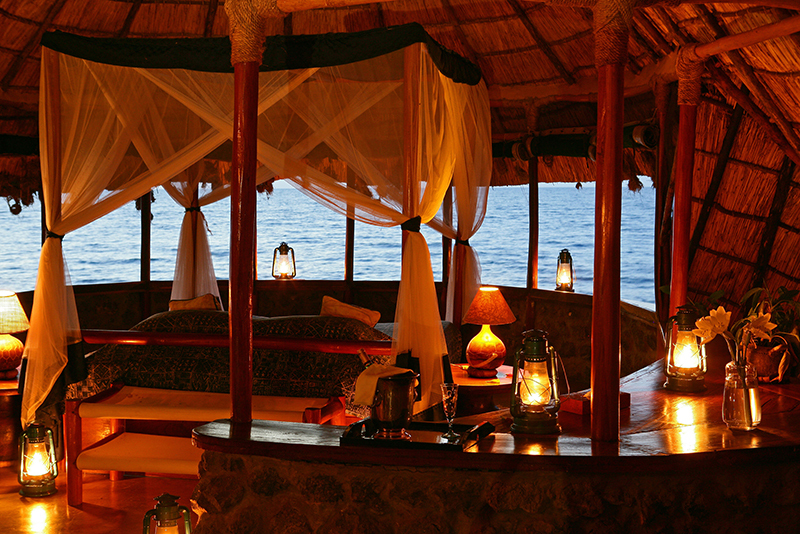 Secluded beach bungalows, glamorous mountain retreats, inns tucked into remote unspoiled landscapes, and romantic lodges in the heart of the bush are extraordinary experiences in and of themselves. 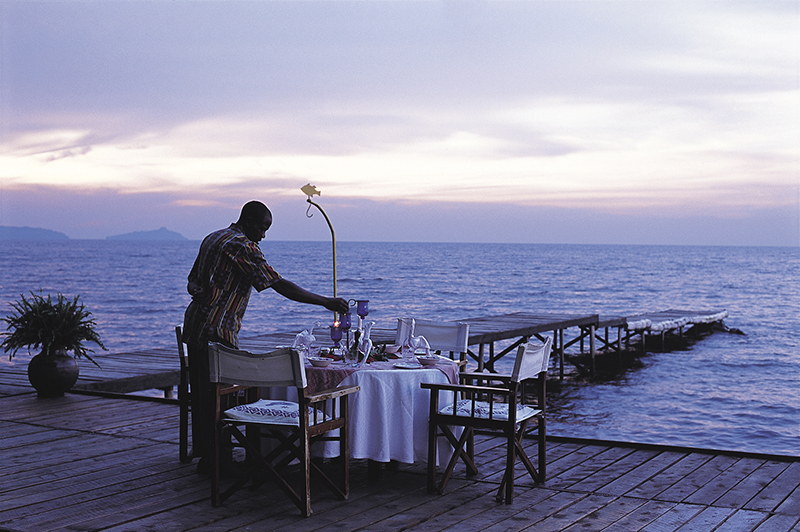 We guarantee to give you the highest quality of service with our itineraries going above and beyond the ordinary. Allow xplorato Ventures to truly spoil you and give you the well-earned break or experience. Our team of luxury experts will tailor make your holiday into one seamless service – from the moment you book to the time you return home. Please arrive by 7:30 AM for a departure at 8:00 AM. You will be picked up from Kilimanjaro International Airport ex. Flight? Then transferred to Arusha Coffee Lodge. This lodge is nestled in the foothills of Mount Meru among the verdant coffee bushes of one of Tanzania's largest coffee plantations. 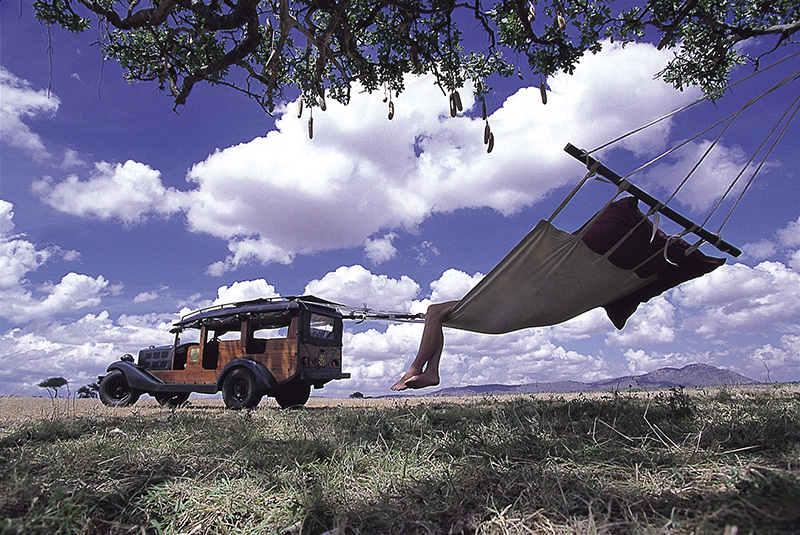 A short drive from Arusha airport, this is the perfect haven for relaxation before your African safari begins. 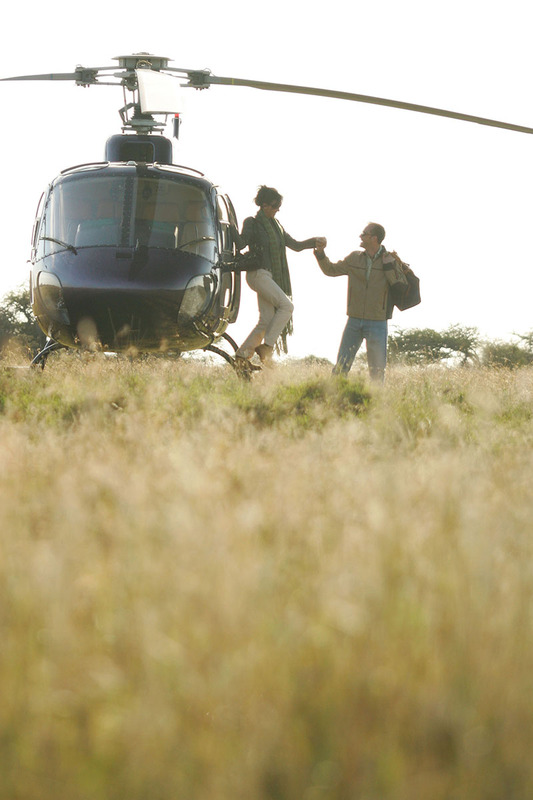 Our 4WD Landcrusier will transfer you to Tarangire National Park. 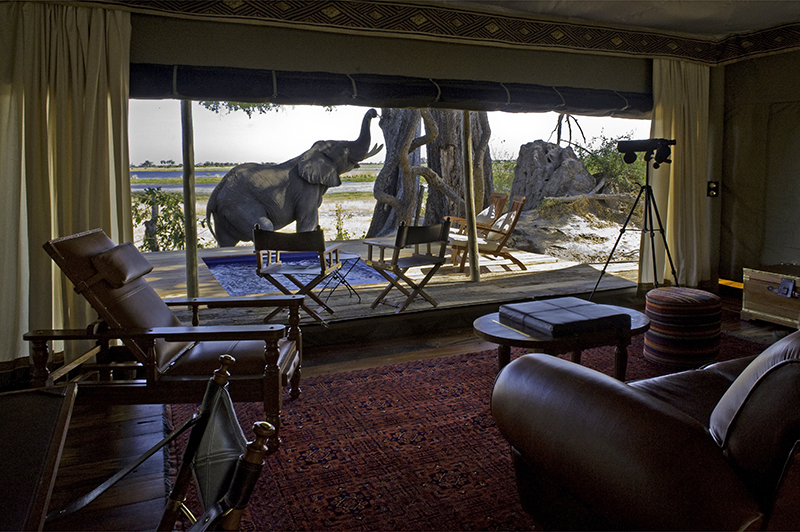 Discover Africa just as it should be from Oliver's Camp in the remote southern reaches of Tarangire. A game drive through forests of enigmatic baobab, home to vast herds of buffalo and elephant, or discover the inner workings of the bush on foot on an exclusive walking safari for the two days. 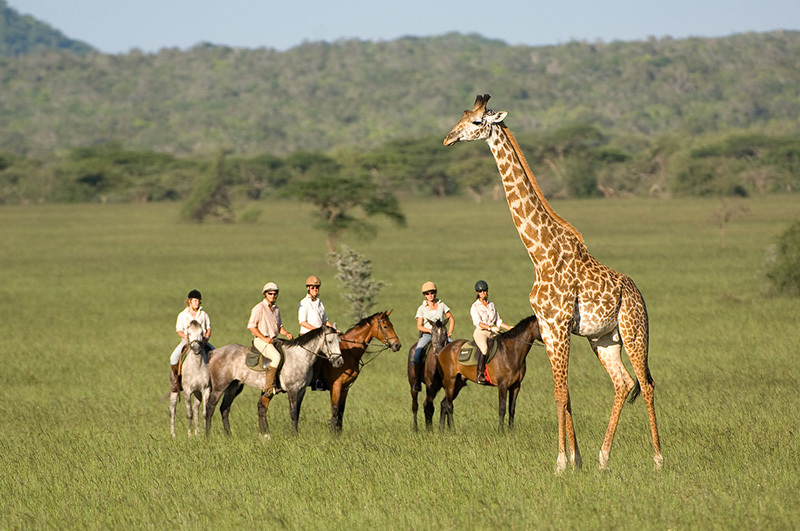 Oliver's Camp includes: Full board accommodation, All house drinks (except champagne), TANAPA walking fees (subject to change), Laundry service, Scheduled open vehicle game drives, Guided walking safaris and night game drives. 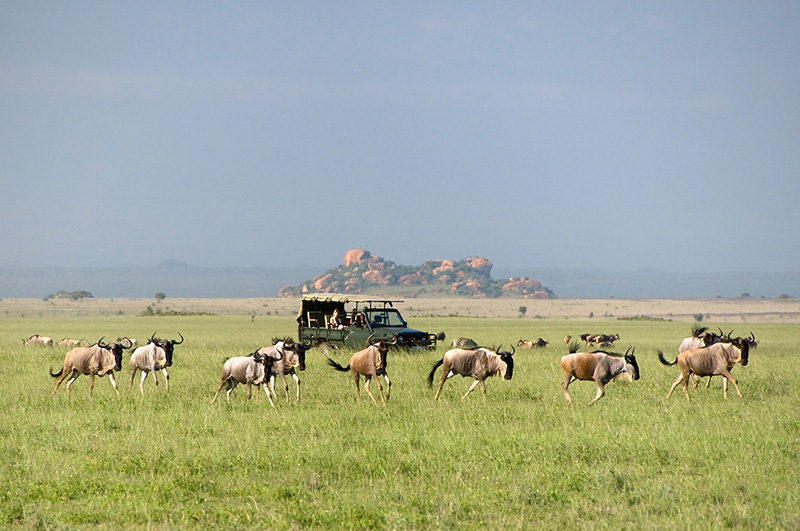 Depart to Serengeti National Park. 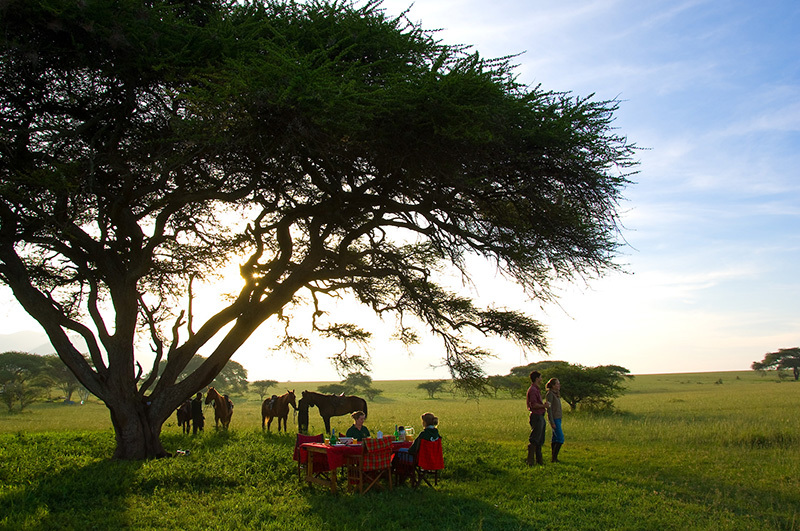 Explore the heart of the Serengeti from Dunia, a tranquil tented camp with expansive views of the pristine wilderness. 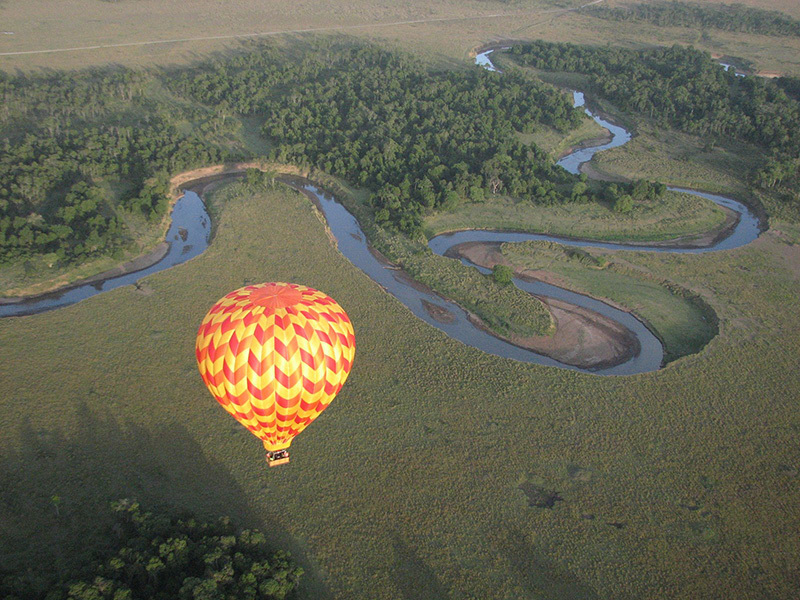 Enjoy superb sightings of resident game, migration viewing twice a year and round it all off by gliding serenely above the plains on a sunrise balloon safari. 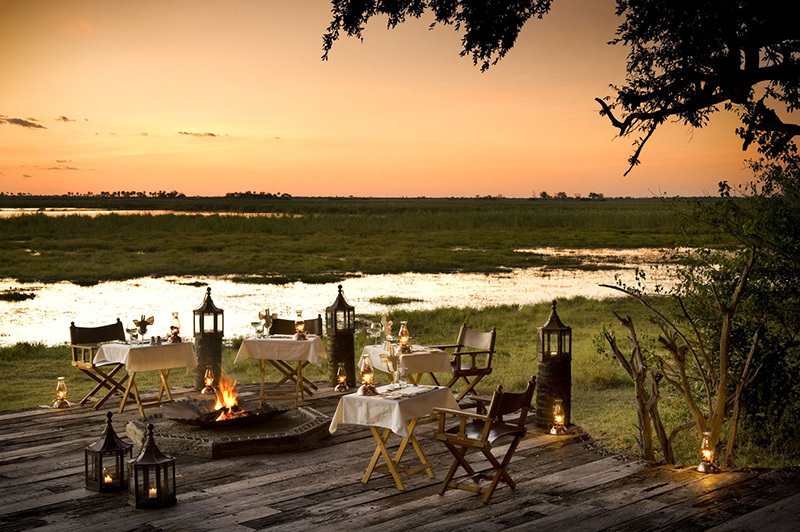 Dunia Camp includes: Full board accommodation, all house drinks (except champagne), laundry service and scheduled open camp vehicle for game drives. Another morning game drive in Serengeti enroute as you, journey far back into human history when you visit the Olduvai Gorge en route to Ngorongoro Crater. This archaeological site, often referred to as the 'cradle of mankind', is where Dr. Louis Leakey found traces of pre-historic man dating back 3.5 million years. Then continue on and check-in at your Lodge. Perched on the Ngorongoro Crater rim, every one of the Lodge's circular suites has phenomenal views, even when relaxing in the bath through floor-to-ceiling windows. 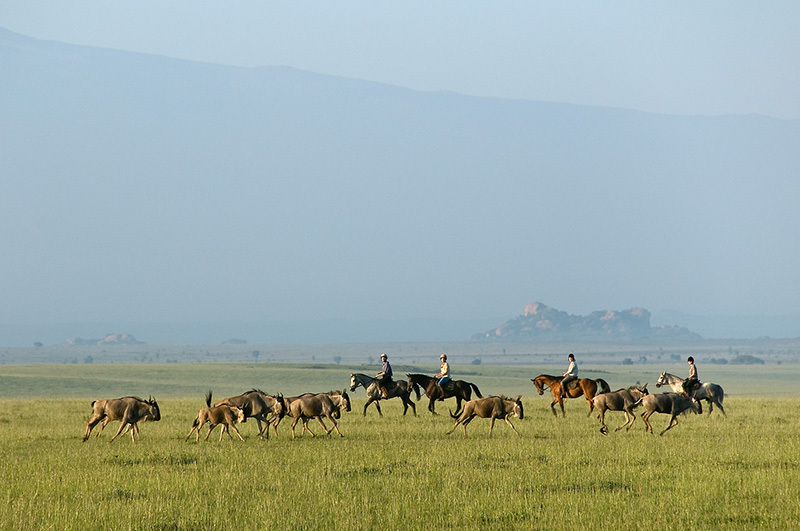 The balance of the day is at leisure to enjoy not only the scenery but take part in the many activities Sanctuary Ngorongoro Crater Camp has on offer. 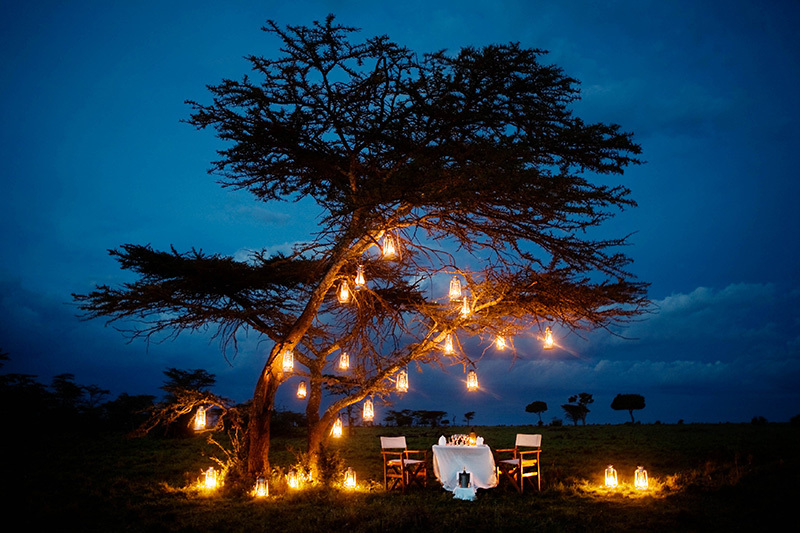 Ngorongoro Crater Camp includes: All meals, non-alcoholic beverages and alcoholic beverages (with exception of premium brands and Champagne), game drives in camp vehicle and laundry services. 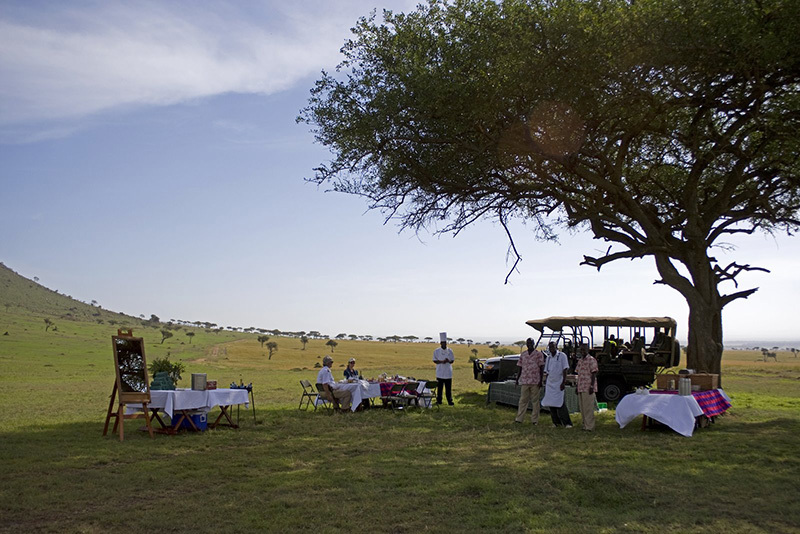 After breakfast, drive to Ngorongoro Conservation Area with picnic lunch boxes. On this day you will descend 2000 feet (over 600 meters) to the floor of the crater for crater tour. Explore the forest areas that are inhabited by monkeys and elephants, the lake area; where you may see the flamingos and the open savannah; where the lions hunt for food. On your last day you depart the camp and head to Arusha. You have an optional stop over at the Cultural Heritage Centre for some souvenir shopping and to view the art gallery. On a clear day you will see Mt. Meru standing tall over the city of Arusha. On arrival at the Arusha Coffee Lodge; you will enjoy lunch in the lush green gardens. 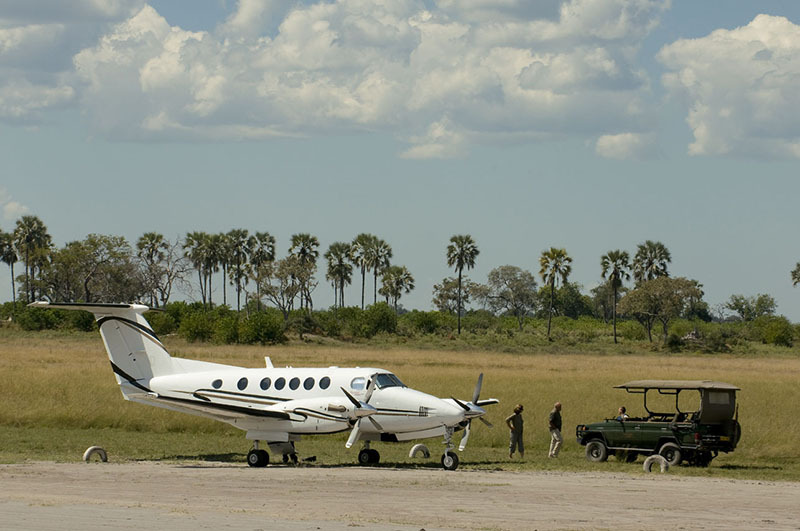 After lunch, you will then be transferred to Kilimanjaro airport to catch your homebound flight.